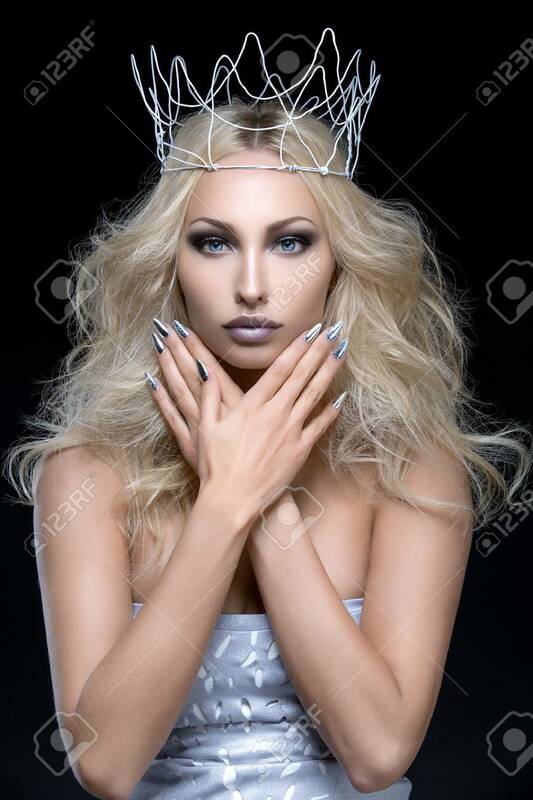 Beautiful Young Woman With Crown. Cold Tones. Copy Space. Stock Photo, Picture And Royalty Free Image. Image 62689889.